Toronto is arguably the most multicultural city on the planet. Over 140 languages are spoken in the metropolis and over half the residents are born outside of Canada and it makes for a truly cosmopolitan city. The city boasts some of the world’s finest restaurants with a variety of global influences whilst its eclectic festivals and lively bars and clubs add a vibrant flare. Winter in this city can be long and very cold so if you visit at this time be prepared! Alternatively Spring and Autumn are great times to explore Toronto, whether you want to brave the iconic CNN Tower or discover the multitude of green spaces around the place. Toronto is a friendly city with an international outlook and an ideal city break. Book into one of these incredible hotels and you won’t be disappointed. Take a walk half a block away from the Toronto subway and allow yourself to enjoy the 5-star hotel services of The Omni King Edward Hotel. Being so close to the city, you have a variety of options for different tourist needs. You can shop from Eaton Centre and visit famous cites like the Harbourfront and Rogers Centre, among others. For lovers of food, there are different restaurant options, including Beerbistro, Carisma, Origin and many more. Apart from the hotel’s fantastic area attractions, you can enjoy their beautiful rooms and room setting with wake-up service, spa, in-room movies, HDTV with premium cable channels and Wi-Fi. 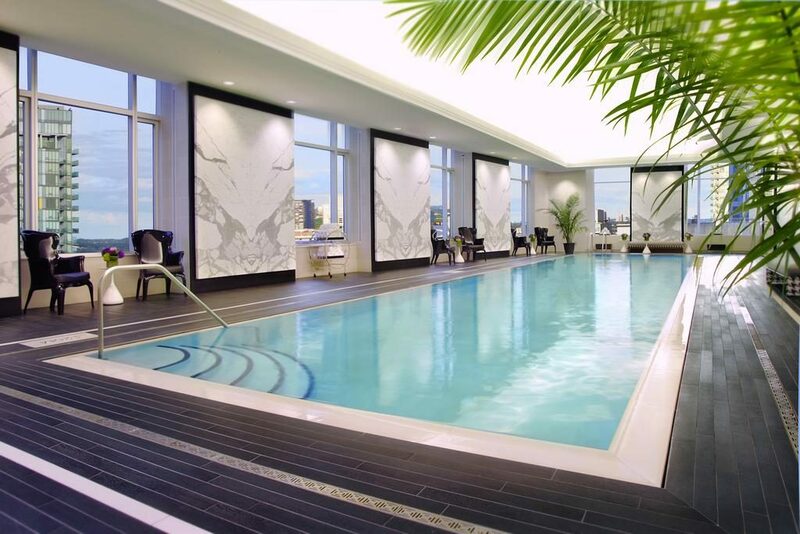 The Ritz Carlton is well known for its 5-star amenities. But, before you enjoy Ritz Carlton’s facilities, you will love their glass façade and interior nature décor of modern materials and art collections from across Canada that speaks of luxury and beauty. The hotel is equipped with luxury beds in their spacious guest rooms and suites, distinguished dining with the best Italian Cuisine and Cheese curve, conference rooms and Toronto’s largest ballroom, a spa, and fitness centre with top level equipment that is available 24 hours. There is complimentary wi-fi, floor to ceiling length windows, large bathrooms decorated with Portuguese marble stones, entirely stocked bar with a refrigerator and many more amenities. If you are a wine and cuisine fanatic, Four Seasons is your go-to hotel. 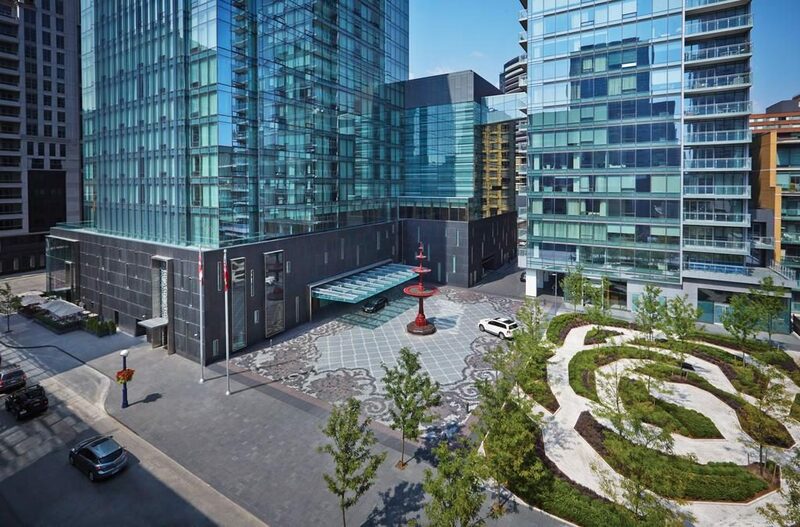 This modernly designed and spacious facility is located in Yorkville quarter. You can enjoy French cuisine and wine at their Café Boulud. The hotel has other facilities like a spa and wellness centre and yoga studio. You will also enjoy top-class room service, WiFi and expansive city views from your suite. There are several places to visit, including, Niagara Peninsula where you can view the beautiful Niagara Falls, enjoy some adventure at the CN Tower and shop at the district’s boutiques, galleries and high-end stores. 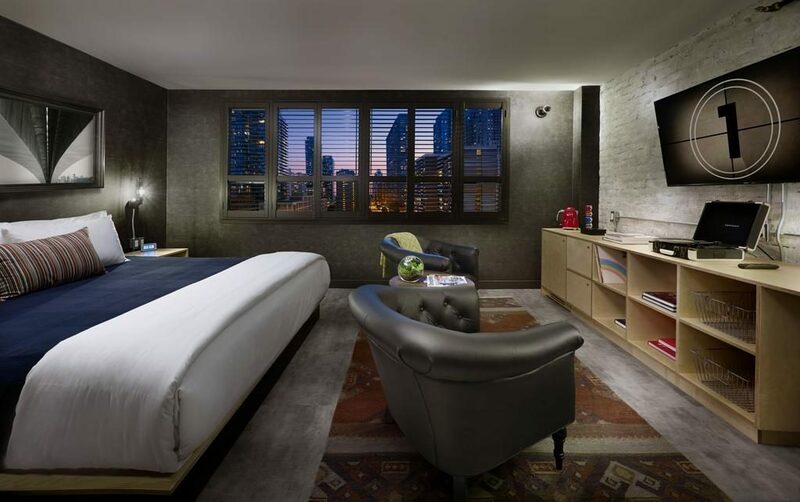 There is a chance you have not come across an elegant rooftop setting like that of Bisha Hotel Toronto but worry not since it is exclusive to guests. When it comes to floors and walls, the design and colour rhyme will mesmerise you. Their rooms are well-spaced and set, their room services out of this world and amenities are worth your praises. If you are a foodie, their $50 breakfast credit will be your cloud nine. With this offer, you get to enjoy breakfast burritos, avocado, Mediterranean style acai bowls, eggs and more on their rooftop restaurant- KOST. Relish more of their Japanese cuisine, French made salads, sandwiches and other services, including valet parking. 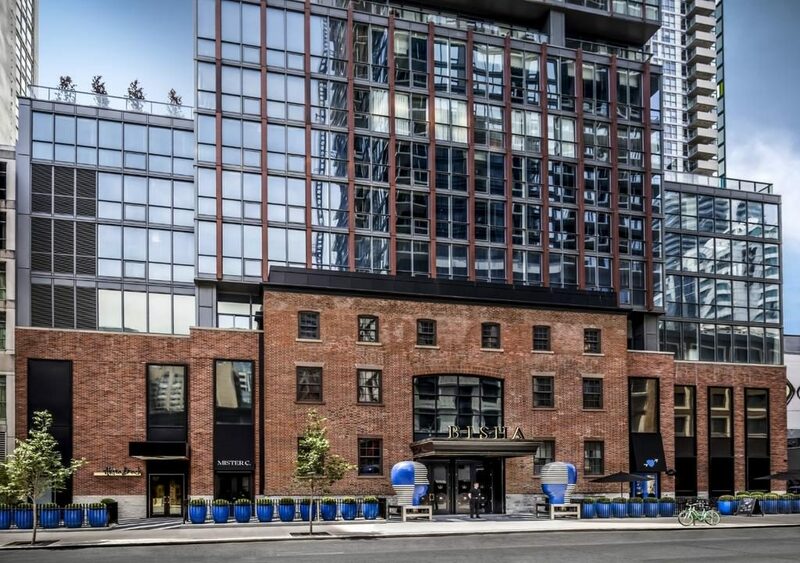 If you are looking to stay at a top three ranked hotel while in Toronto, Thompson is open for you and your fellow travellers. It holds TripAdvisor’s Certificate of excellence, among other awards. 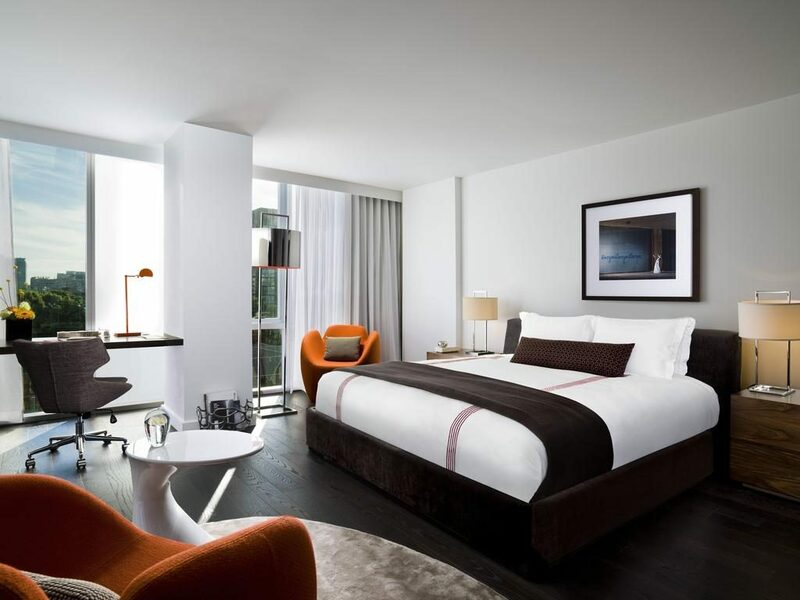 Thompson hotel brings out the best of lush orange and crisp white in their funnier colour and dressing. They have the floor to ceiling windows that give you the best views of Toronto’s skyline and more. This luxury restaurant also has a rooftop restaurant that serves a variety of meals that you can select from, an underground nightclub, lobby bar, poolside cabañas and more. 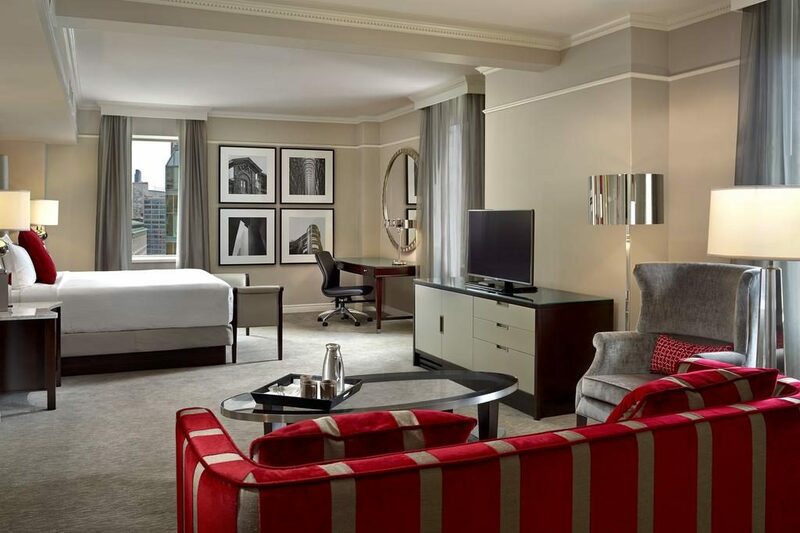 Enjoy luxurious guest rooms and suites with chic décor at the Adelaide Hotel Toronto. This 5-star hotel is located in downtown Toronto on the south-east corner of Adelaide with a premium location compared to other Toronto hotels. It holds one of the best venues for weddings and conference and meeting rooms, so if you are planning an event, consider this establishment. 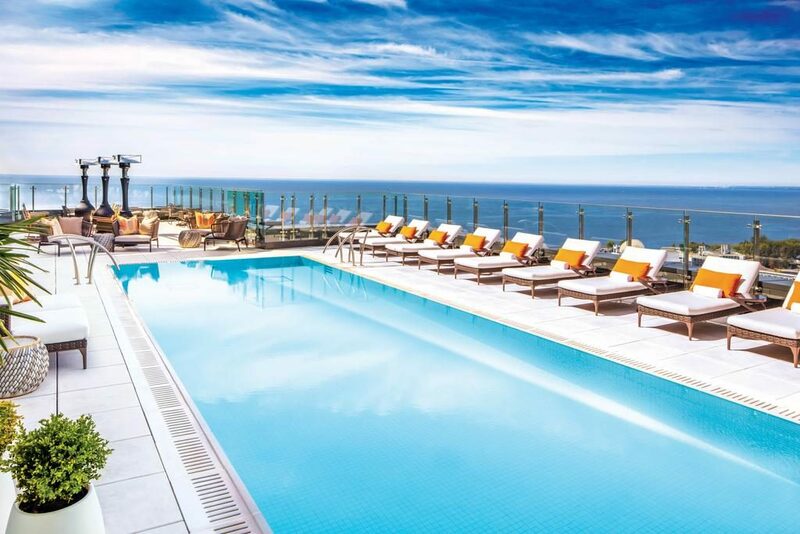 Apart from fantastic event spaces, this hotel has in-room dining and an in-house restaurant. It is the ultimate choice for a luxury getaway. It is one of the most elegant hotels in the city with 5-star services, a variety of amenities and in-house facilities. The hotel’s unique features like the 250 seat cinema, 56 seat screening room, rooftop swimming pool, tri-level rooftop Skybar, indoor tennis courts, TechnoGym, spa and wellness centre with yoga studios, Kandy Gallery by Neil Dankoff and so much more to enjoy. The rooms are well set, impressively decorated and with comfortable beds and fast WiFi connection. Feeling lazy? Would you like to manage your hotel services from the comfort of your suite? Visit the Anndore House in Toronto and enjoy their hotel app with faster free WiFi. It also has a fitness centre, Constantine restaurant and lounge, scarlet door café, valet parking and a barber shop, among others. Their bedrooms are uniquely distinguished from each other. The hotel has used four different styles to define elegance in the rooms. Located at Charles Street East, this 4-star beauty is worth a visit.